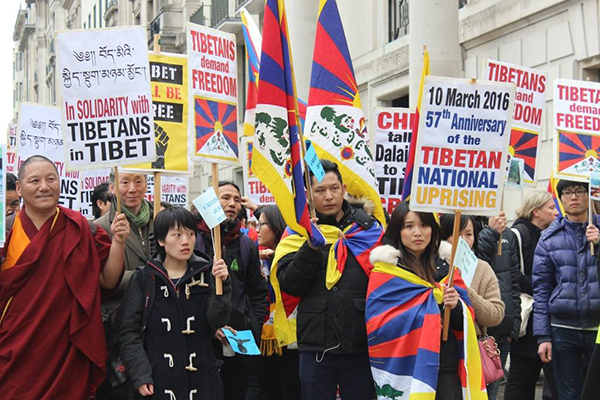 Hundreds of Tibetans, supporters and special guests commemorated the 57th anniversary of Tibetan National Uprising Day yesterday in London with a rally, protest march and cultural event. 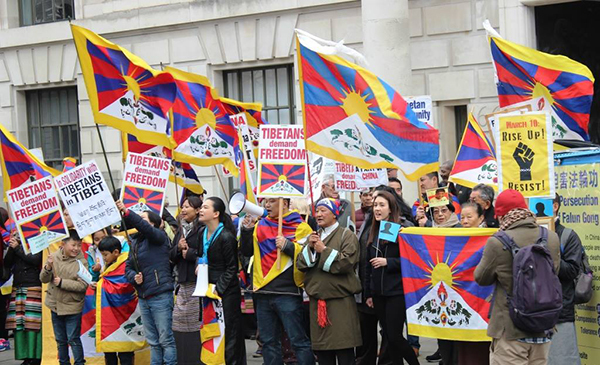 Gathering in front of the Chinese Embassy on a busy working day, Tibetans and supporters made voices for justice heard through slogans, chants, speeches and songs. 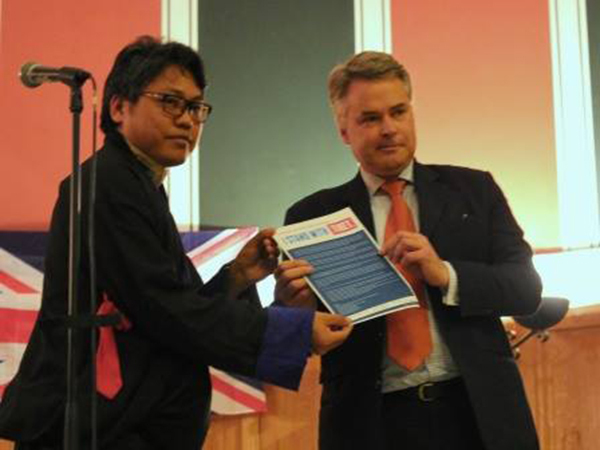 Following a welcoming introduction speech from the Tibetan Community in Britain, representatives from Free Tibet and Students for a Free Tibet UK spoke of the importance of outside support for the Tibetan people and the Tibetan cause. Special guest Lobsang Tsering, nephew of the late Tenzin Delek Rinpoche who died in Chinese custody last year, also spoke about the continuity of the Tibetan struggle in unison force. 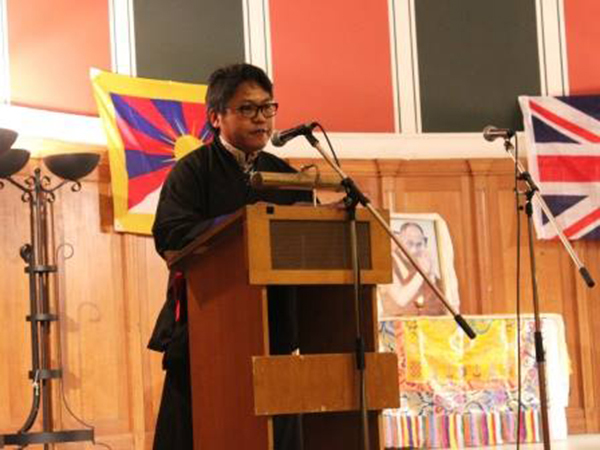 Tsering said that the Chinese authorities killed Tenzin Delek Rinpoche because of his work and commitment for Tibetan culture and the Tibetan people. A letter from the Tibetan Community in Britain was later posted to the Chinese Ambassador Liu Xiaoming calling for a resolution to the Tibetan issue after the embassy officials refused to open the doors. 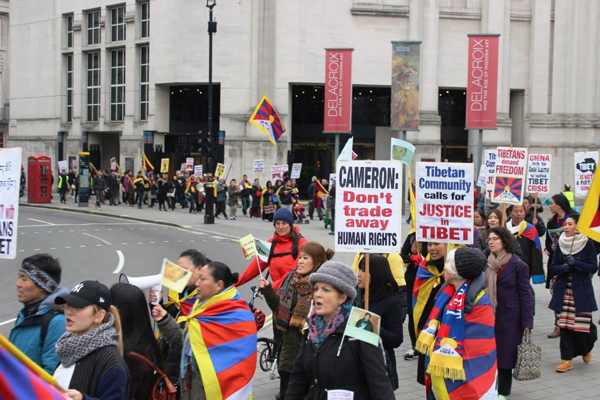 At the end of a colourful and loud march through central London, the British Tibetan Community submitted a letter to Prime Minister David Cameron urging the British government to put pressure on the Chinese leadership to improve the human rights situation in Tibet. 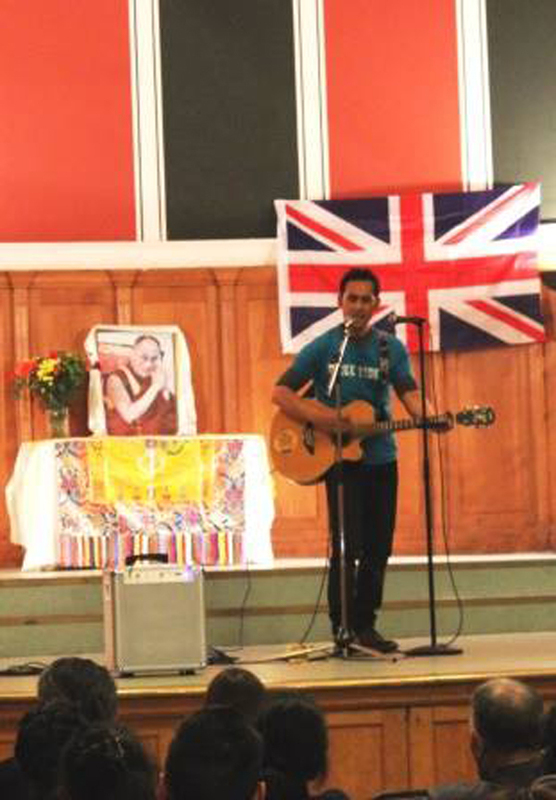 The evening cultural event took place in a packed Westminster Cathedral Hall with welcome introduction and speeches by guest speakers and songs performed by members of the Tibetan Community. 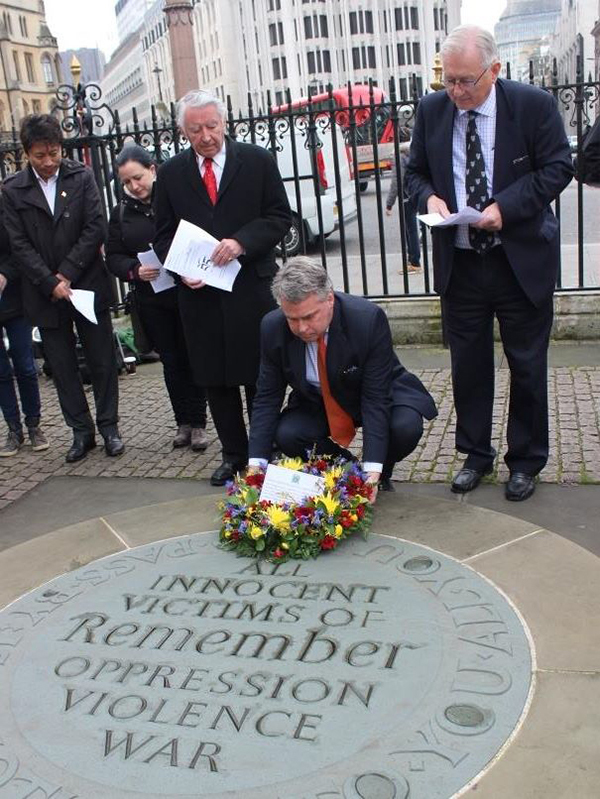 TCB Chairman Tsering Passang spoke of the critical situation inside Tibet as well as the special historical relationship that Britain has with Tibet. He said that China’s “ongoing restriction on all walk of lives of the people inside Tibet is unacceptable”. 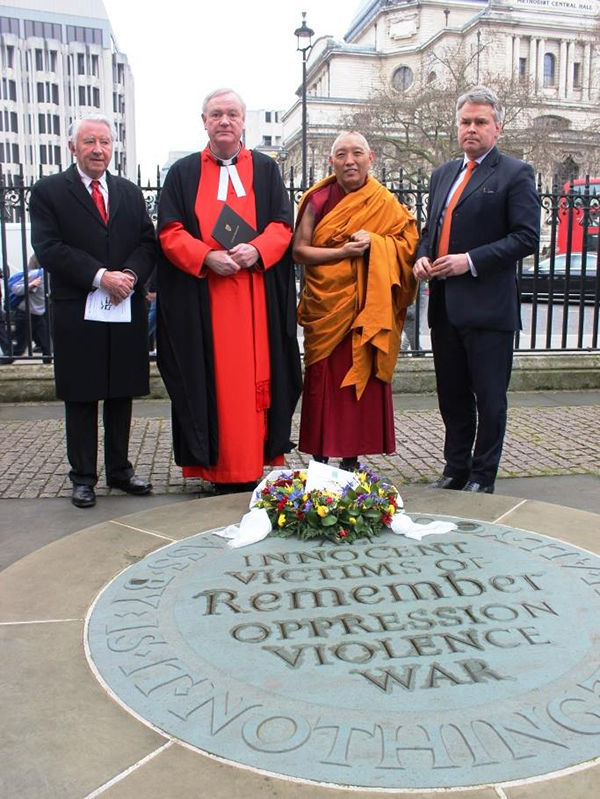 Chonpel Tsering, London-based Representative of His Holiness the Dalai Lama at The Office of Tibet, read out key excerpts of Sikyong’s Statement of Tenth March and addressed the audience whilst calling for continued campaign for peaceful resolution in Tibet. 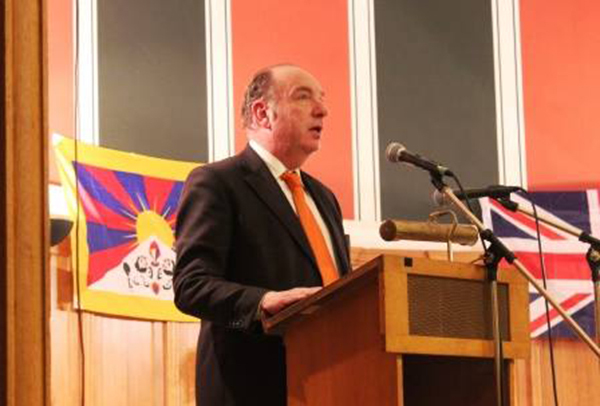 Former Minister and current President of the Tibet Society, Norman Baker, vowed to carry on working hard for Tibet until Tibet was “bathed in warm sunshine”, ending his speech with “We Will Win!”. 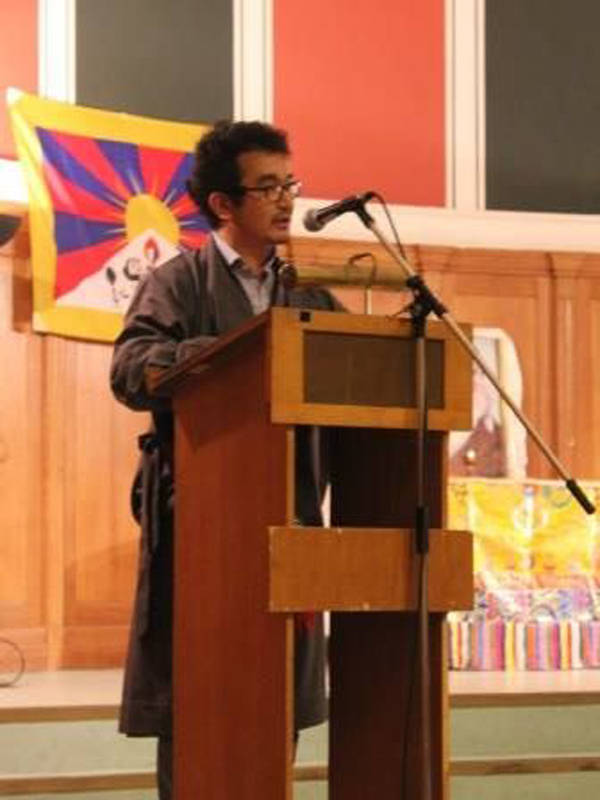 Chinese writer and dissident Ma Jian spoke of being in exile and said to Tibetans, “we feel the same pain”. Ma Jian’s remarks also ended optimistically with a call to never give up hope. 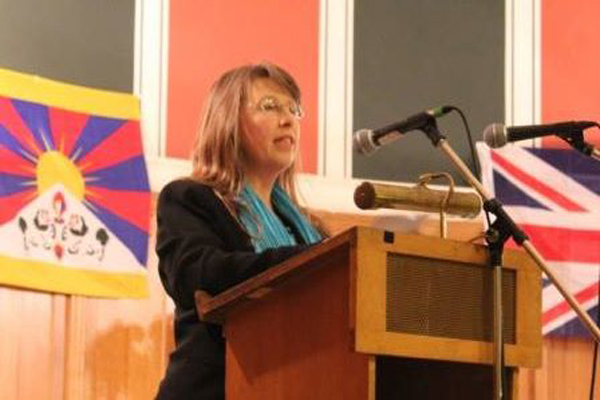 Kate Saunders of the International Campaign for Tibet addressed the crowd speaking of the new generation of Tibetans who are expressing themselves through writings, music and poetry. 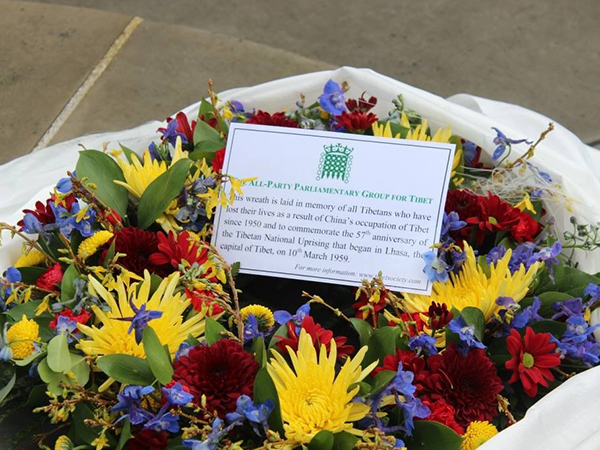 Her speech ended with a poem by Tsering Woeser called A Vow which had been written on 10 March. 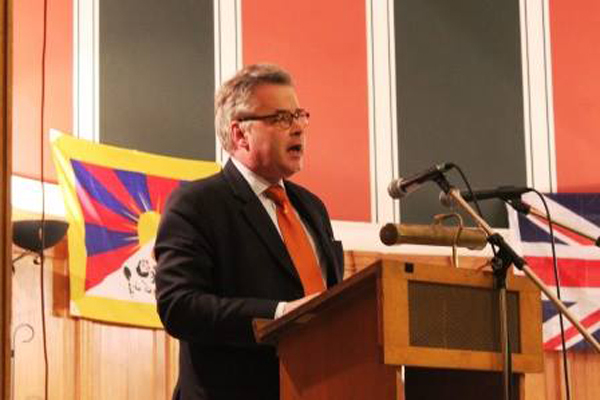 The highlight of the evening was the address by Tim Loughton, MP, Former Government Minister and current Chairman of the All-Party Parliamentary Group for Tibet during which he announced that he had signed the Paris Declaration, ‘Europe stands with Tibet’ – a European initiative launched in March 2015 in support of Tibet. The Paris Declaration is an important document demanding a coordinated effort to support the Tibetan people’s fight for freedom from European governments as well as from EU-institutions. 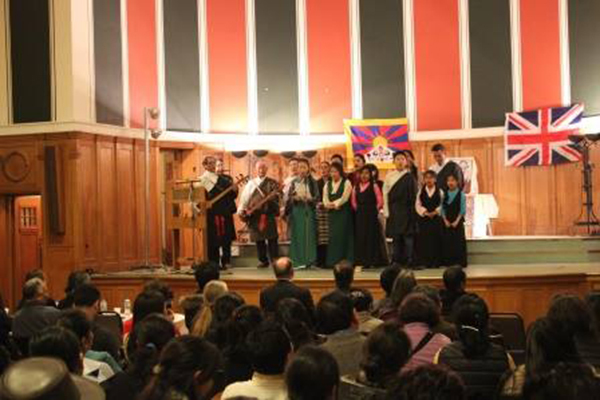 This important political and solidarity event for Tibet was organised by Tibetan Community in Britain.